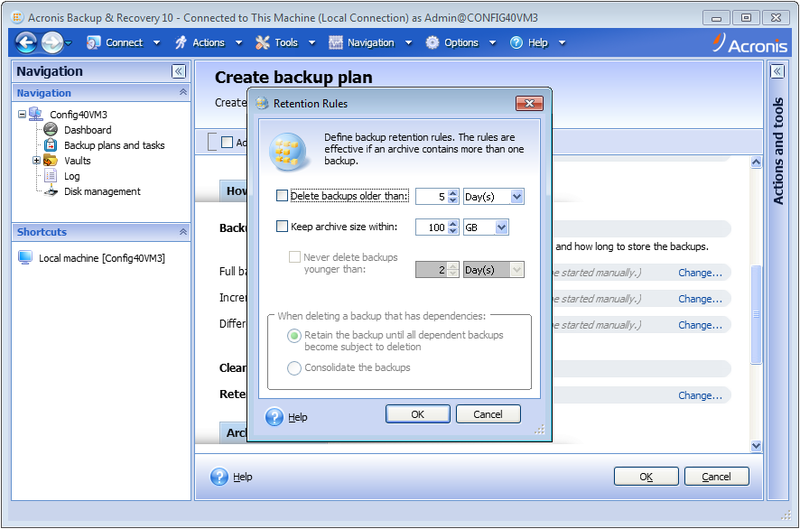 Unlike previous corporate Acronis True Image versions (see Using Batch Files in Acronis True Image), Acronis Backup & Recovery 10 can create multiple full backups in one folder. Thus, the product does not overwrite the same full backup file. 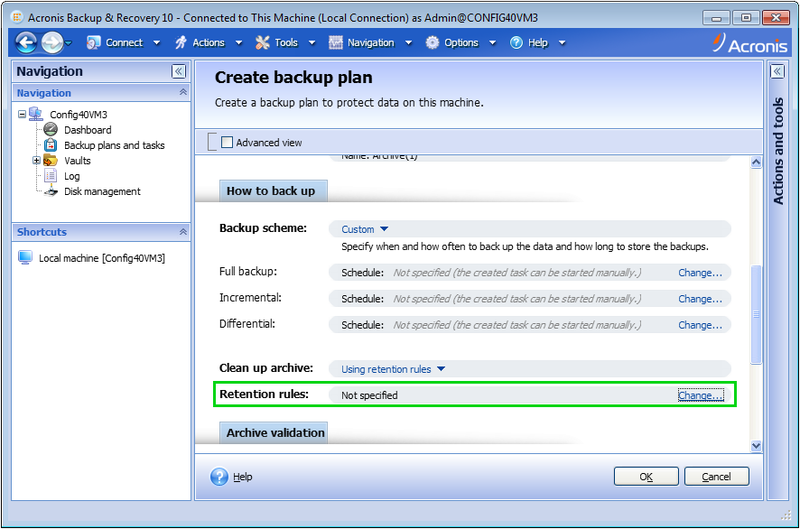 This strategy ensures that if a backup job fails, there will still be a valid, not overwritten full backup. An RDX or Iomega REV drive is accessed locally using the drive letter. See Solution 2.
b) If you are using a Build lower than 11345, there are possible issues with retention rules malfunctioning for archives on removable media. See Solution 3. 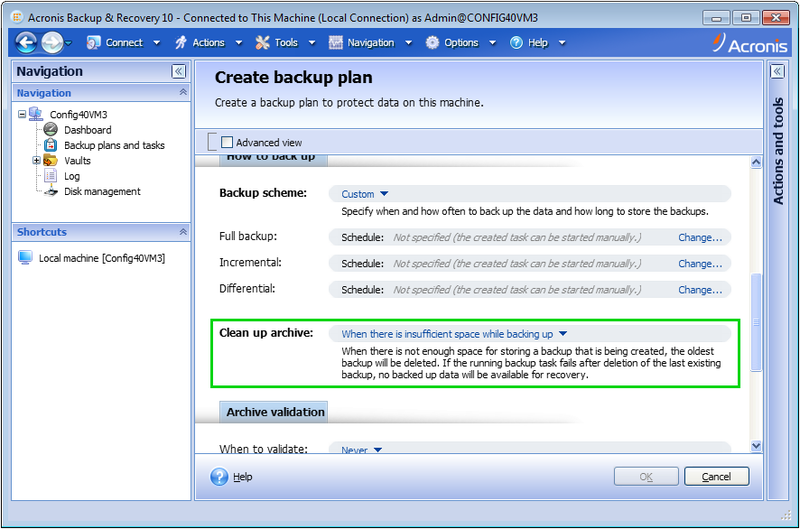 If you are backing up to swapped disks, please also see Acronis Backup & Recovery 10: Creating a Backup Plan to Removable Media (Multiple External USB/Flash Drives). 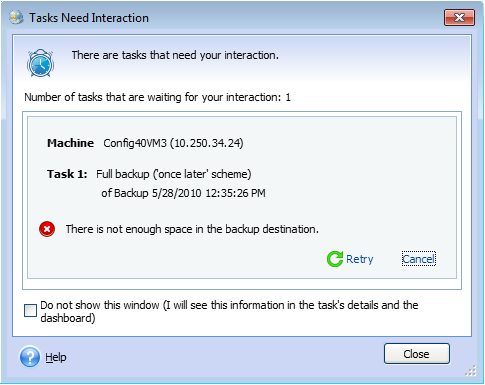 The last backup task was executed manually, and the retention rules were not applied. 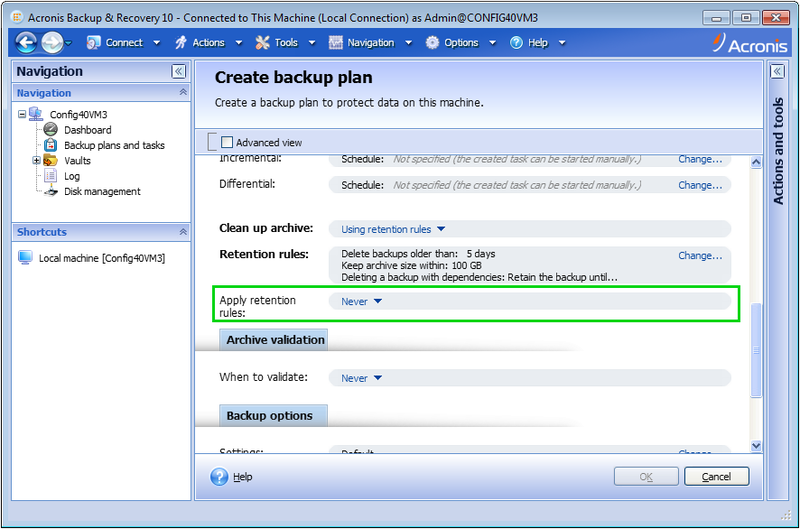 See Solution 4.
a) The Apply retention rules: Before backup is effective only if an archive contains more than one backup. See also Acronis Backup & Recovery 10: Exporting Archives and Backups. 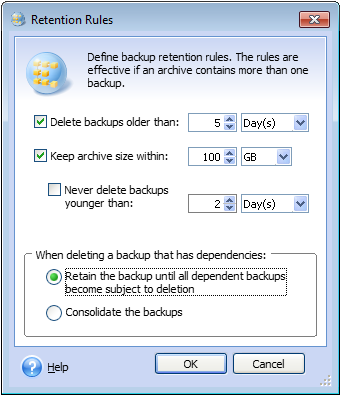 b) If you want to keep only one backup and set up the retention rules correspondingly, make sure you select Apply retention rules: After backup.